Given enough sun and moisture, and the hills yield wonderful results. Add in even more water, less desert heat, and the hills give forth even more. So, observing spring this year, what have I learned? All the seeds are there, in the ground, year after year. You would not even know they were there. Yet, with the right amount of what they need, they will sprout and grow. It's not just rain and sun that they need--it's the amount. 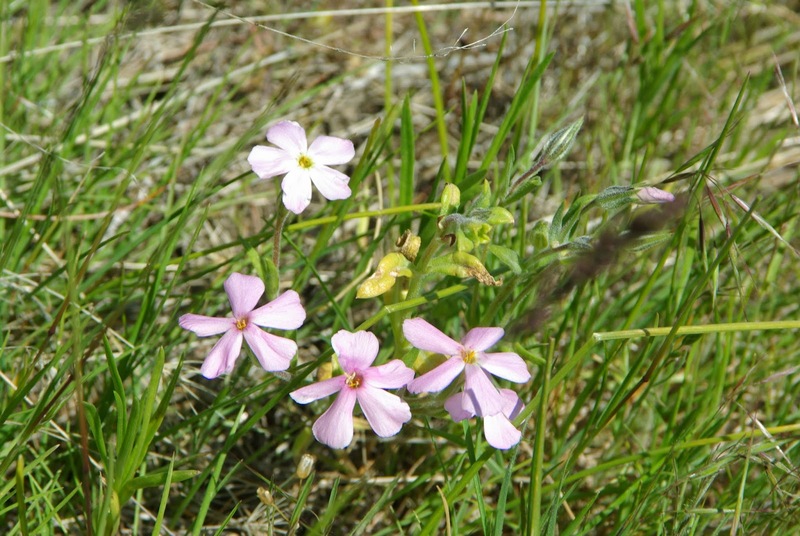 We do see wildflowers every year; how many will be determined by how much warmth and water is available. 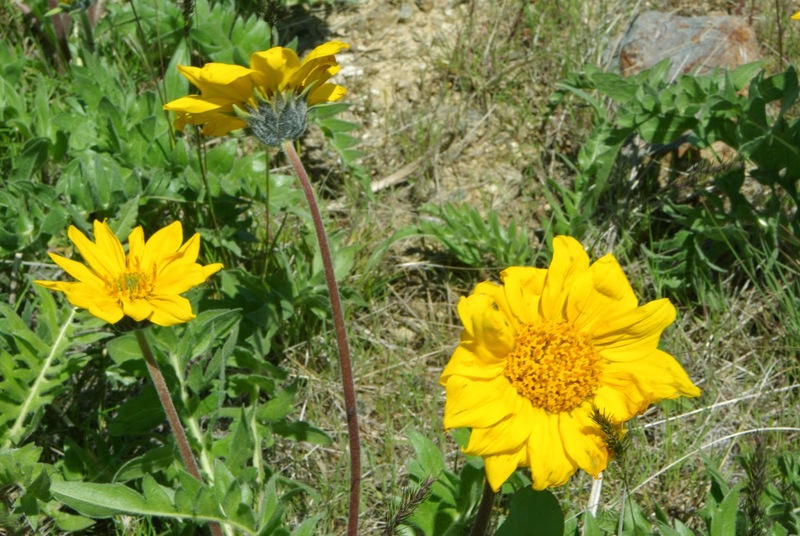 Wildflowers seem to require differing amounts of moisture and warmth. As soon as the soil starts to dry out, the early sprouters--violets, phlox, triteleia, to name a few, will be gone. The plants that can tolerate the ever-drying soil carry on, and soon, once the desert heat sets in with summer's entrance, the wildflowers are a pleasant memory. Spiritual application? We all were created to receive the Son's warmth and the living water of His presence. That is a basic need of all of us. Many come to know Him, and yet, seem to never really grow. The amount of time we spend in His word, and in His presence, will determine our abundance--pure and simple. We will have dry spells to be sure, but a sure-fire way to revive is to seek Him out--no distractions, no competing voices--just sitting in His presence. 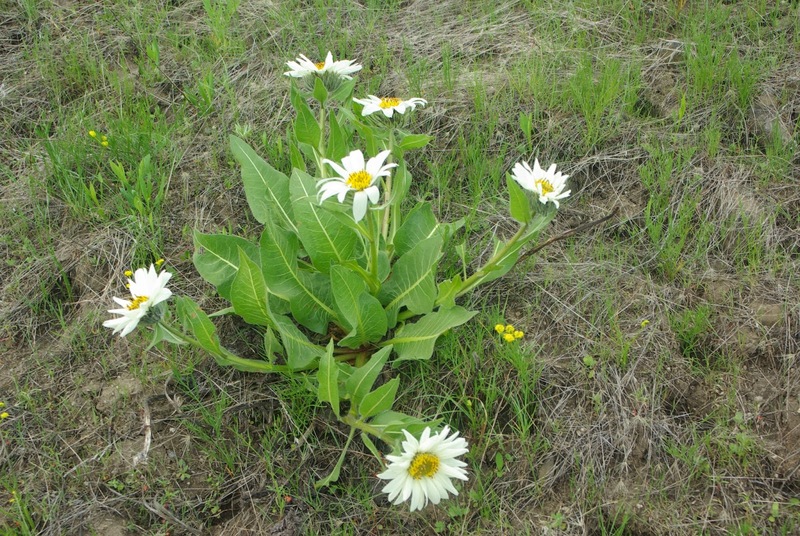 It is considered a weed. Oh, I know what a weed looks like--not very appealing. But, does this look like a weed? 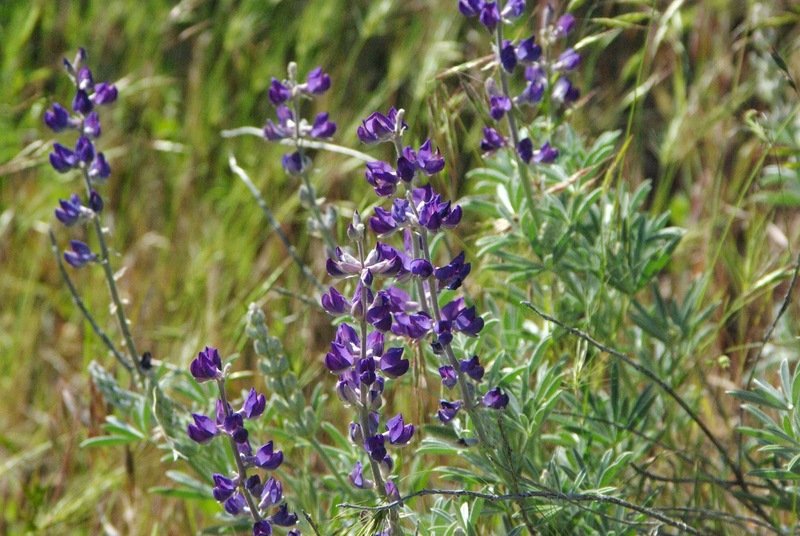 In our high desert mountain landscape, these plants spring up and make the hills beautiful. 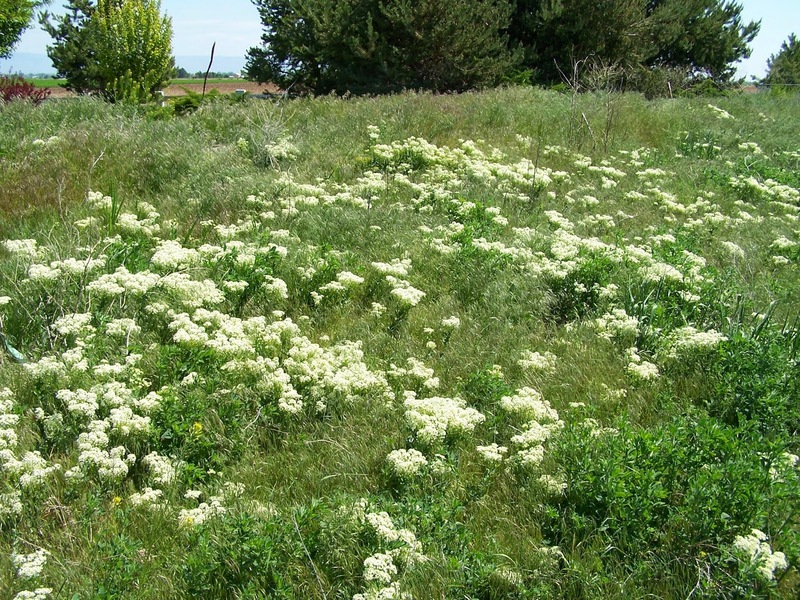 They are considered weeds because they are very invasive. And yes, this year, with the favorable conditions, the whitetop is everywhere, in huge numbers. They don't seem to coexist with any other flowers. 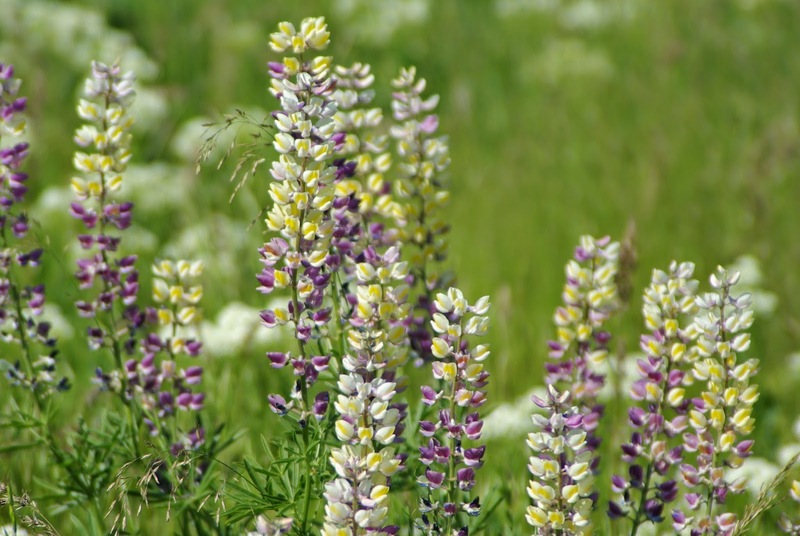 You will find lupine growing along violets and arrowleaf balsam roots. Phlox will tuck in near lupine. But once the whitetop takes over, that's all you see. Spiritual application? You bet: if we not discerning about the whitetop in our world, it will take over and crowd everything else out. It's beautiful, at first--how harmful can it be? Quite harmful, to be sure: once there is enough of it, it will no longer share the hillside. What is your whitetop? At first, whatever it is seems harmful enough--but after awhile, it's all we think about, do or worry about. Our whitetop will not share the hillside with Jesus--it will crowd Him out, and His voice will become harder to hear and follow. Keep in His word and in prayer. Spot check for whitetop and enjoy the blessings of His spring in your life. Struggling with sin? Seek out others who can stand alongside with you, and pray for you. Keep an attitude of gratitude. Make a list of all the beautiful "wildflowers" in your life--family, friends, a starry night, a butterfly, a smile from a baby. Realize that your full potential will take time in Him. 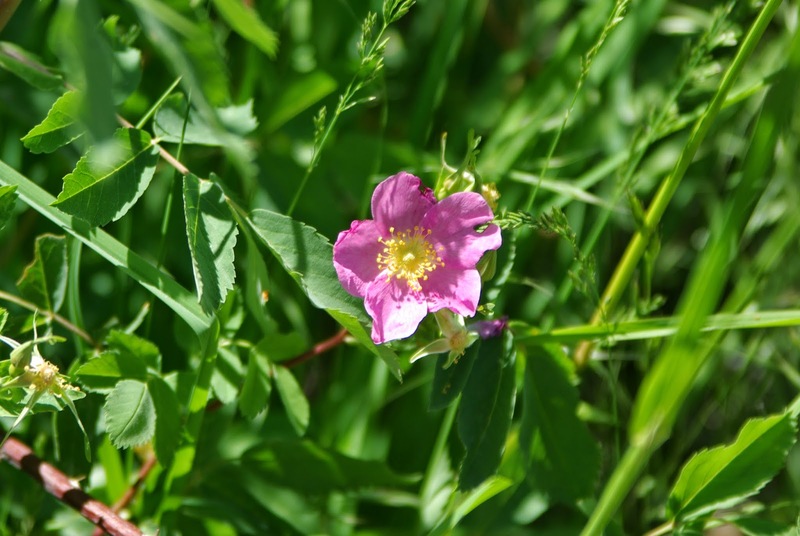 These Nootka roses and other wild roses are the ancestors of the amazing roses we have today in our gardens. Looking at this wee lovely rose, could you imagine such potential? We can't but He can--trust the vision that He has of you and your future. 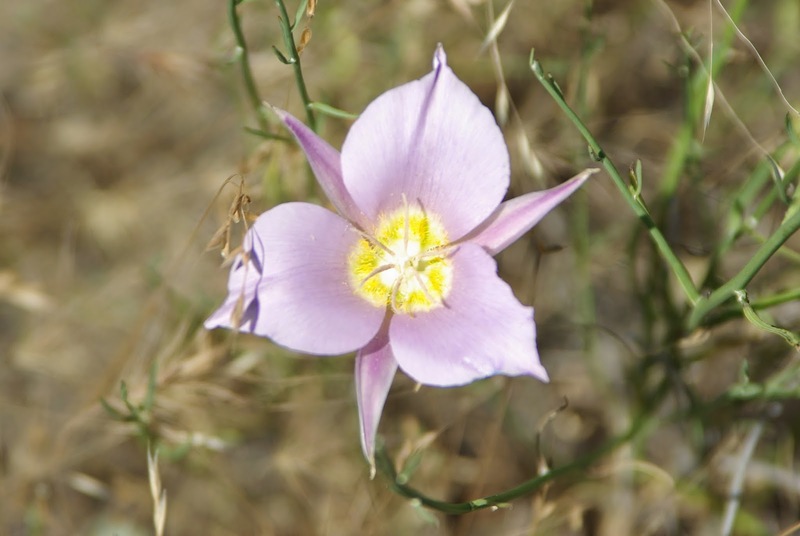 Finally, take a lesson from a mariposa lily: these beauties spring up after every other wildflower is gone. The heat is on, the soil is dry and yet here they are--swaying in the hot afternoon breezes with the wild grasses. Even in the heat of trial and tribulation, there is beauty. Because, even in the heat of trial and tribulation, there is Jesus. You've Not Responded to My Invitation...Why?